I’m not TF2019, but I certainly have an opinion about this, because I agree with him on wishing there were, once again, separate ADs for men’s and women’s sports at UT. The last couple of weeks have illustrated this very well. While I’m happy with how the search eventually turned out, I can’t help but wonder if Fulmer’s attention was more powerfully attuned to Rick Barnes and the UCLA situation than it was to the Lady Vols. In two simultaneous events such as what Phil had the responsibility to settle in the last three weeks, it is painfully obvious that he couldn’t possibly have lent his undivided attention to either personnel matter, so one or the other had to come in second. Guess which responsibilities were more likely to have been heavily delegated to others? Back when Joan Cronan was women’s AD she never had to make those types of judgements. She could give 100% of her attention to women’s sports and not have to ever push them aside because the bigger-monied men’s sports demanded full attention at any given time. I guarantee you that NO athletic director gives women’s sports an equal amount of their time and attention, but that level of 100% attention to both actually used to be the norm at UT, which is what separated the Lady Vols from everyone else for decades. We’ll never see those halcyon days again, of course, but it sure was nice while it lasted. Agreed. It highlights the disparity when they have to transfer money from the Athletic Department to the women's athletic department. It solidifies the true economics in everyone's minds. Looks like prison garb, doesn't it? Tennessee teams can wear hefty bags with a power T on it as long as we win championships. No need to go backwards. The women's basketball coach was finalized late Sunday night early Monday morning. The news about Barnes broke late Sunday night. Fulmer has done a great job with both and yes he pays attention to football first and foremost but that's because football keeps the lights on at TBA. I've also seen Fulmer at SEVERAL softball games and I know that him and the Weeklys are good friends. He is more than supportive for ALL programs on campus. The only thing I hear during these arguments (not you or attacking you) is we want to be equal but we want separate and more to our own or I also hear I have a complex with men and they have no place in women's athletics even though I'm all for women being in men's sports. All athletics have the same AD because football funds ALL other sports on campus with the exception of men's basketball, when good it can stand on it's own. Is your sarcasm meter in the shop? Seems like we get into color discussions often on the Football forum. A fellow over there, Deerpark, seems very connected to uniform wear over the years especially. He's pretty adamant the last few years that whatever is on the color pallete with the uniform contract provider is all you can get. For example, we haven't seen uniforms trimmed in black with this run of Nike as that color is not on the pallete. We do have a dark grey on the pallete which if used as trim makes some think they're seeing black but it's not. Does anyone KNOW if the Nike color pallette for UT has a Summit blue on it? If not, chances are it's not a possibility until it shows up there. Does anyone KNOW if the Nike color pallette for UT has a Summit blue on it? If not, chances are it's not a possibility until it shows up there. 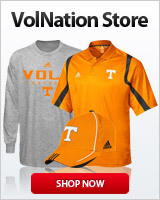 Count me with those who don’t care all that much about uniforms except to want Tennessee orange to be the main color. That’s the distinctive color that instantly identifies Tennessee athletes, and so that color should always be the dominant color. As far as length of basketball shorts, or whether players choose to roll them up, I couldn’t care any less. The way I see it, the kids who are hiking their uniform bottoms are likely just doing what simply makes them feel comfortable and un-self-conscious. Just because *I* am old and wouldn't have found that comfortable for myself, the bottom line is that this is NOT my era... this is NOT a decision that I have a say in and it absolutely SHOULDN’T be. Let these kids enjoy their youth without us geezers telling them how they should look. Didn’t it irritate the hell out of US when our parents and grandparents tried to control us when we were coming of age and desperate to find our own identities? These are college-age young women who, as inordinately tall, strong athletes, it’s often already a difficult challenge to fit in with other girls their age. And the boys? I imagine it’s even harder to feel like they are like other girls on campus when they are, well... different. So if these young women we call Lady Vols, in college during the era of extreeeeeemely short-short fashions, are possibly feeling like those long shorts are making them look too embarrassingly goofy or too masculine, then I am 100% behind them wearing them however the heck they feel the least self-conscious. I don’t think the longer shorts make them AT ALL less feminine-looking, but I am from a different era. It’s what they think/feel that matters. We’d do well to back the heck off and stop being such a-holes about something, in the grand scheme of things, is so practically irrelevant. GO LADY VOLS!!!!! We are pulling for you!!!!! The women's basketball program never lost the lady vols name and John Currie reversed the Dave Hart merger. It is now up to individual teams if they want to be referred to as lady vols or just vols. Not a shot at you Savannah but others in this thread should get facts together before starting the fake rage bs. Yes, It should have been a shot at me. You are right as usual. It has just been a burr in my mind so long, I just couldn't get over it. The "Lady Vols", to me has set our women's programs ahead of the pack. Not just the game play of the basketball and softball teams, but the whole women's dept. The "Ladies" logo and unie colors set them apart and should be returned all around.